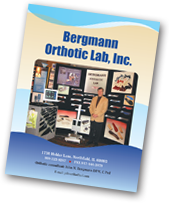 Bergmann Orthotic Laboratory is dedicated to manufacturing successful outcomes for your orthotic patients. 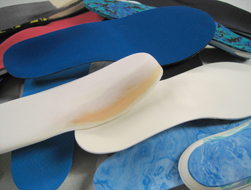 To accomplish this, we use the most advanced manufacturing techniques, combined with the highest quality orthotic materials and the latest biomechanics concepts. 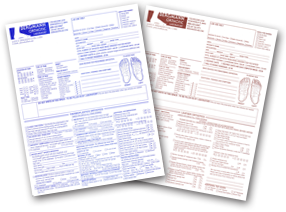 Our guiding concept is to maintain the unique biomechanics, size, shape, and contour of each foot. 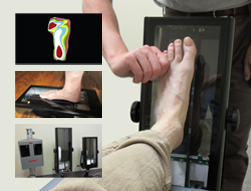 Casting Equipment: Bergmann Optical Scanner is the first optical scanner to replace in-office plaster casting for orthotics. It is the only neutral position scanner that takes the sides as well as the bottom of the foot in neutral suspension, semi weight bearing and full weight bearing.